1 Preheat the oven to 325 degrees, lightly oil a 13×9 baking dish with coconut oil. 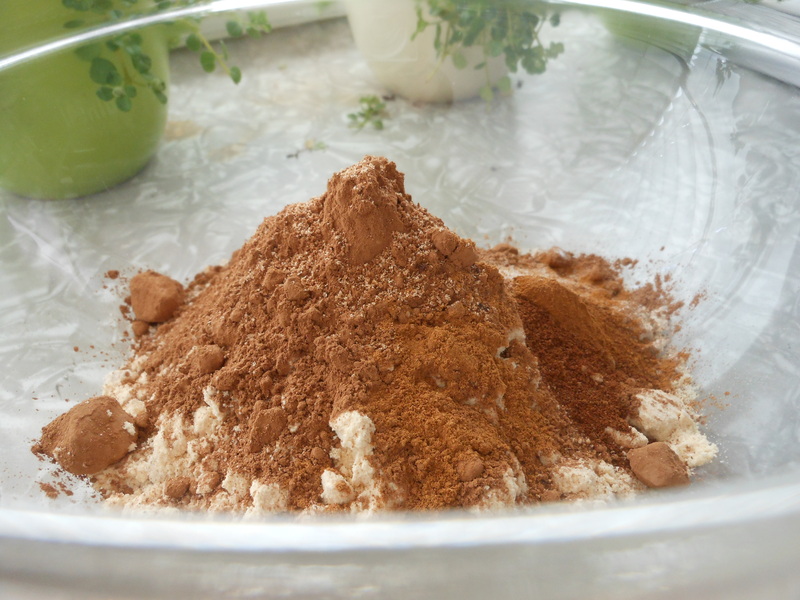 In a large mixing bowl mix the buckwheat flour, almond meal, coconut flour, cacao powder, baking soda, cinnamon, nutmeg, cloves, pumpkin spice and salt. Whisk to combine. 2. 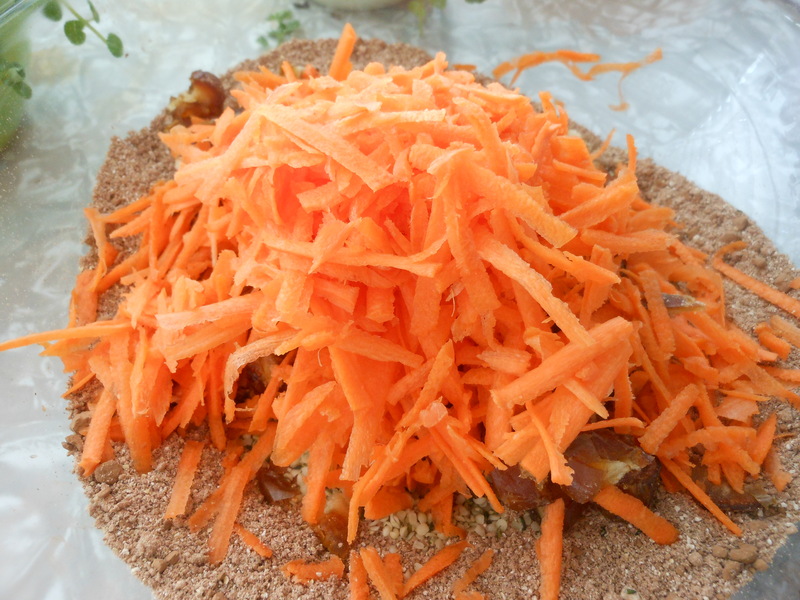 Next add walnuts, hemp seeds, grated carrots and chopped dates to the dry flour mixture. Toss to combine. 3. In a food processor or high-speed blender mix the chickpeas, nut milk, banana, coconut oil, tahini, pure maple syrup, vanilla extract and almond extract. Mix on high until well combined. Add this mixture to flour mixture. Fold in the chocolate chips. Mix well but don’t overmix! 4. Scrape the well mixed mixture into the lightly oil baking dish. Bake for 35 minutes. Let cool, cut and store in an airtight container in the fridge. These little BIG nuggets of love have been a life saver in my life. 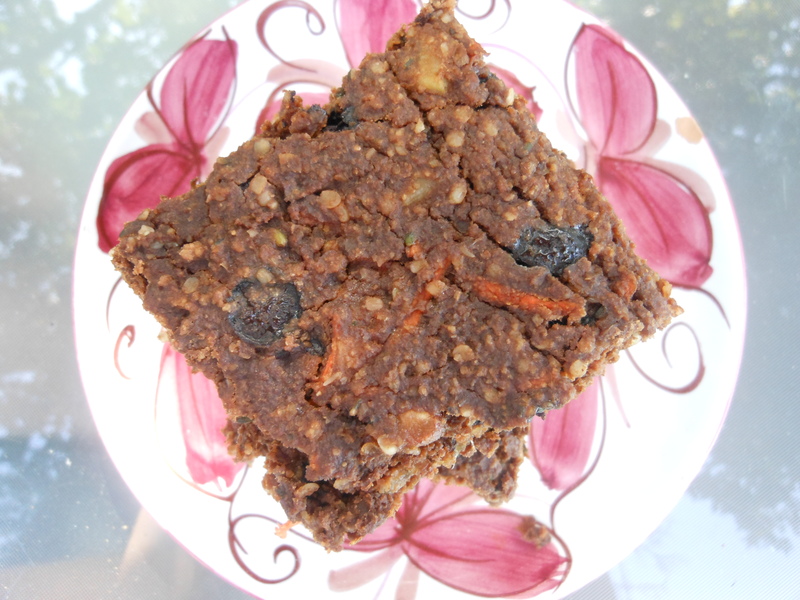 They are full of yummy healthy ingredients like chickpeas, cacao powder and gluten-free flours! They are super easy to whip up and travel well, l I even packed them for our travels this week to Denver. They are like indulging in a moist chocolate brownie with the goodness of a granola bar or protein bar. I eat five times a day and these have been a great mid morning or late afternoon snack, I will even throw one in my purse if I think I might need something to hold me over. 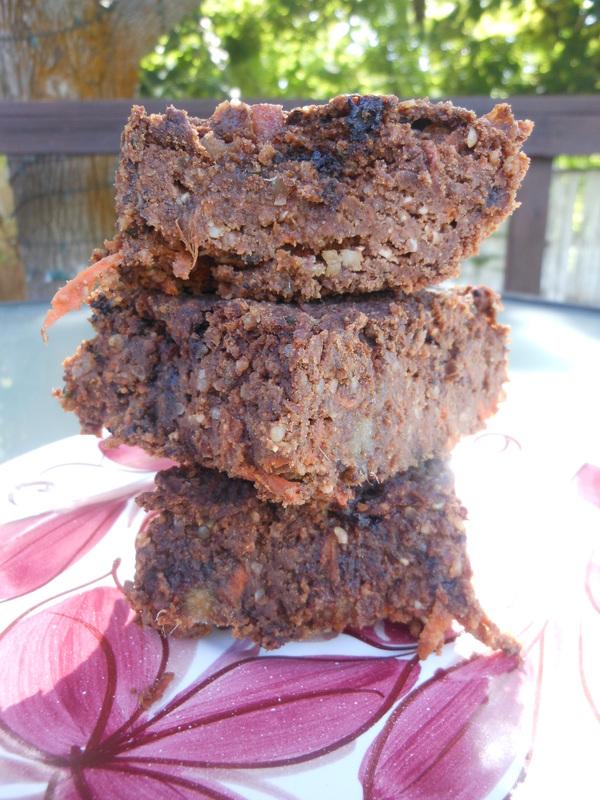 This recipe is adapted from one of my favorite blogs, My New Roots. She posted this recipe in an effort to help all of us with the wows of traveling and the sometimes limited choices when it comes to eating right on the go. These are a new staple snack in my house, and as I sit in a hotel surrounded by chain restaurants I am thankful I packed these morsels of love to keep me nourished.